During the early-1970s I cannot recall many references to self-adhesive labeling in the trade press. Label printing invariably meant wet-glue labels printed on large-format sheet-fed litho presses. As a journalist I may have seen a roll-fed label press at an international trade show like drupa or Ipex, but that was the extent of it. A few years later Mike Fairley, whom I knew quite well by this stage, had, like many entrepreneurs at that time begun in a simple fashion: in this case cutting and pasting the pages of the first journal on the subject on his kitchen table. 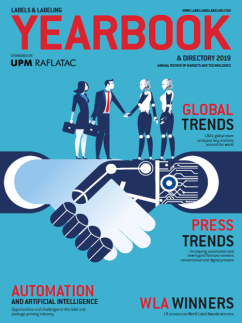 Fast-forward to 1990 and the pressure-sensitive market was outpacing all other graphic sectors by achieving a year-on-year growth of 7-9 percent in western Europe. This was a propitious year for me. In my new freelance role I began contributing articles for L&L, as well as other international print journals. Not only that, Mike asked me to edit a sister journal to L&L called Forms International. It was also a bimonthly and, as with labels, dealt with all aspects of narrow web printing and converting technology. But that’s where the synergy ended. By the mid-1990s the label industry was in good shape, while the beleaguered business forms sector was suffering from the effects of rising computerization. Underused press capacity increased as its customers bought smaller volumes of continuous stationery, multi-part carbonless forms and listing papers. On top of this, the in-house document printing market using non-impact, print-on-demand technologies was growing ominously stronger by the year. Along with their customers, many press and equipment manufacturers went out of business. Those with sufficient funding introduced web offset presses to print full-color direct mailers and flyers, while several, ironically as it happens, moved into the label and packaging markets, but largely with mixed results. Meanwhile the label industry capitalized on the inherent flexibility of narrow web technology to meet its own set of market-led challenges. Just as well. Brand owners and other end users now demanded the same consistently high quality standards for their primary labels as they did for other promotional print. They wanted suppliers who could confidently offer innovative solutions using a variety of paper and filmic substrates to help them meet their own marketing and production objectives. Essentially they wanted larger volumes of smaller-run orders in days rather than weeks. Essentially they defined the industry’s destiny. 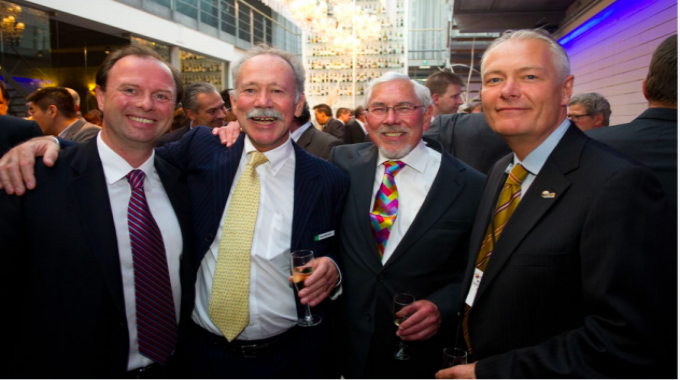 As with many others, I always eagerly awaited the frenzy and excitement that characterized all of the Labelexpo events held in Brussels and Chicago (for me from 1991 until 2015). My brief was to cover the ever-growing press sector in all its expanding complexities (so no pressure there then). In this special issue, however, I leave others to cover the nuts and bolts of press developments. I will just attempt to put things into context. For example, my early Labelexpo reviews included at least a dozen comparatively basic flexo presses. The usual maximum web width was 200mm and demo models had no more than five print units. They all had multiple die-cutting stations, but the occasional presence of sprocket-hole punch and perforating wheels for computer labels made them more like converting machines than presses. As the industry matured so did expectations of higher levels of full color reproduction. Automatic control over print register, inking systems and web tension was just the beginning. Thinner photopolymer plates with harder coatings and new backing methods helped by raising screen ruling levels up to 27 lines/cm (150 lines/inch). The arrival of flexible wrap-around cutting dies offered a lower-cost alternative to solid metal dies and with faster delivery times. Then along came UV flexo. I remember it took many years before it achieved the high standards expected of it. Most printers remained faithful to conventional water-based flexo with good reason. To be fair, UV flexo was virtually a new process. It required the successful integration of inter-unit UV curing lamps, higherviscosity UV inks and coatings, laser-engraved ceramic rolls for deeper cell volumes and chambered doctor blades. Among other benefits, the presses did deliver lower dot gain in highlight areas, so operators could print with near-offset results. Initially roll-label printing was a bipolar activity. The Americas were largely all-flexo, while letterpress dominated label printing throughout Europe and in many Asia-Pacific countries. Semi-rotary letterpress machines with flatbed die-cutters and intermittent web feeds were commonplace (and are still made). By the mid-1980s many of the more well-heeled plants were running fairly advanced rotary letterpress machines. I add this little-known fact because they were the real forerunners of the combination press concept that came later. At one time such presses made up 70 percent of new roll-label press installations. In fact the total installed base remained strong in Europe long after the introduction of UV flexo. 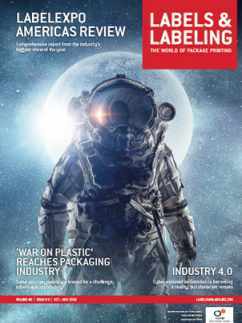 Trends in brand-led packaging technology had increased the demand for thinner, multi-layer polymer-based films. By 2005 the concept of producing flexible packaging on the latest narrow/ mid-web presses with short web paths was well established. Many more label converters were also producing film wrap-arounds, shrink sleeves, sachets and decorated tube laminates. The arrival of electronic servo-drives on multi-process platform presses was a major step in handling ‘difficult’ substrates, such as thin-film laminates. The centrally-controlled drives gave precise and measurable control over the web feeds and web tension systems, while allowing shaftless drives for the plate and die-cutting cylinders. Quick changeovers for plates and inking between jobs, as well as seamless switchovers for all types of substrates, became the norm, as did sleeve-plates. Besides repeat length flexibility, the sleeves offered easy storage and allowed off-press preparation during runs. The carriers required no gears or bearing rings, which reduced wear on parts. Productivity was further enhanced by electronic register control and remote diagnostics for production feedback. New methods of closed-loop web inspection, plus the production modules of management information systems, were the icing on the cake. 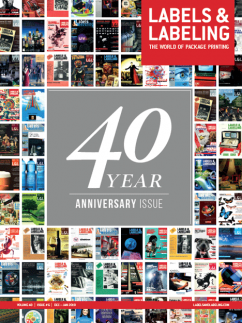 I remember some Labelexpo press demonstrations where the top-end presses attracted large audiences to see a combination or hybrid press line go quickly from idling to speeds of 150-200m/ min while printing a mix of self-adhesive labels and unsupported packaging films in perfect register. Of course, the manufacturers of inks and coatings, printing plates, and a large range of paper and filmic substrates all helped to make this possible. A fascinating aspect of the label industry is that its products manufacture, distribution and sales of goods in the end-use supply chain. Passive and active RFID inlays, with encoder and reader devices, became readily available. Intelligent labels also included types that indicated time and temperature, provided evidence of sterilization, indicated freshness and a whole host of useful features. 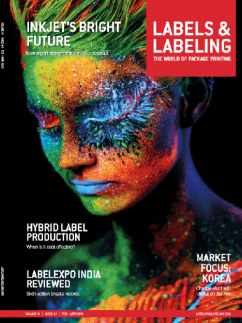 During my many years as a contributor it seems that digital label printing was never off the editorial agenda, while some confidently forecast it to overtake analog printing. That has still not happened, but as other contributors will doubtless confirm, digital printing is now an important mainstream technology. This has followed many years of development, especially with the two leading electrophotographic methods, and more lately with single-pass, full-color inkjet printing. A key growth factor is that global end users’ demands for shorter runs in a highly competitive markets have already pushed digital’s break-even run lengths further into analog territory. As it is, faster set-up times with minimal start-up waste can allow all top-end digital presses to handle the 70 percent or so of all label jobs within an upper 50,000-label threshold. Interestingly, the recent arrival of various hybrid digital/flexo platforms for integrated production suggests a best-of-both-worlds approach. The formation of partnerships between analog and digital press manufacturers is another important step. All vendors of top-end UV flexo and offset analog presses have crucially achieved fast set-ups with low wastage, backed by reporting systems that give converters some accuracy in assessing ROI and run length break-even data. 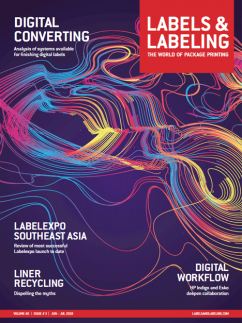 I remember at Labelexpo Americas 2010 fewer than 20 companies showed digital color presses, while apparently the 2018 edition hosted over 50 different digital label presses. Whether this is commercially sustainable is another matter. As it is, some major inkjet corporate players with deep pockets dominate the market. Most have large R&D budgets to keep in the game and likely will continue to acquire existing players, so echoing the consolidation among converters in recent years. Finally, in my retirement, I have an abiding memory of the good-natured ethos of the worldwide label fraternity, which reflects the wider printing industry. I hope these personal memories and observations have not been too self-indulgent, but I’m sure everyone will join me in wishing L&L a happy 40th birthday. I was always proud to be among its contributors and a small cog in a highly professional publishing team. The journal’s longevity as the global market leader in its field is certainly a remarkable achievement. Long may it flourish. Barry Hunt is an editorial consultant to Labels & Labeling. He was previously the magazine's technical editor. 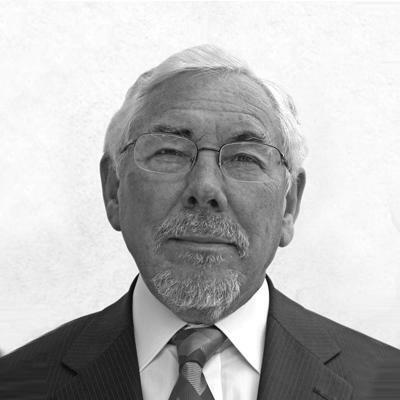 With more than 35 years of experience in the graphic arts industry, he is a leading global authority on technical trends.